The Rock Band Rivals expansion brings brand new features to Rock Band™ 4. Perform your way through an epic rock documentary about *your* band in a new campaign mode, join Crews to prove your skill and crush your opponents through weekly online challenges, and get a free backstage pass to months of additional game updates, including Online Multiplayer with your friends this holiday. The core game includes a soundtrack of more than 60 songs, and all of the feature updates released over the last year like Practice Mode, Setlists, and Brutal Mode. You also get access to the Rock Band Music Store and its 1800+ additional great tracks for purchase. The Rock Band Rivals expansion brings brand new features to Rock Band™ 4. Perform your way through an epic rock documentary about *your* band in a new campaign mode, join Crews to prove your skills, crush your opponents through weekly online challenges, and get access to future updates. Rivals Mode raises the stakes by introducing Seasons. Lead your crew to glory, competing in weekly challenges before one season ends and the next one begins. With unique rewards for crews that top the leaderboards, the competition will be fierce. The new Missions system sends you on a massive scavenger hunt across Rock Band 4 to complete a wide variety of tasks across different set-lists, instruments, and more. Collect badges for completed missions and show them off to your friends in Online Quickplay. Perform your way through an epic rock documentary in this new, dynamic narrative campaign mode. Discover the twisting, funny, and sometimes tragic story of *your* band’s history and triumph over adversity. The brand new Rivals Mode lets you join up with friends as a Crew to take on rival groups through asynchronous multiplayer gameplay. No matter what mode you’re playing, you can be contributing to your Crew’s success every week. 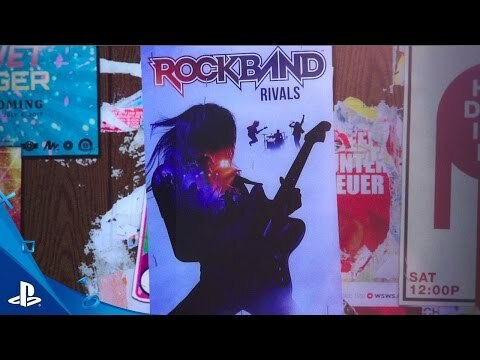 The Rock Band Rivals expansion sets you up to receive free ongoing updates. Now with Online Quickplay, you can play your favorite songs with your friends, wherever they may be. Stay one beat ahead of the competition with the official Rock Band Companion App! Join or create a Crew. Encourage (or taunt) your friends! Check your Crew’s ranking! The companion app just got better with these additions! Song List – with the entire Rock Band 4 library at your fingertips, shop in the Music Store and add more songs to your library or add songs to your wish list. Leaderboards – check out where you and your crew stands. Rivals Hub – now you can check out the upcoming Challenge or Spotlight songs. Link to your PlayStation Network ID. Invite new players to your Crew, or kick people out! Get notifications when your Crew is promoted. Compatible for Rock Band 4 players on PlayStation 4. Best experienced with the Rock Band Rivals expansion. Rock Band Companion is now available on iOS and Android. New to the game, or want to add a guitar to your band? Introducing the brand new Fender® Jaguar™ Guitar Controller. Get the Rock Band Rivals expansion, Rock Band 4 core game, and this iconic guitar controller as a bundle at select retailers. A Band Kit is also available. 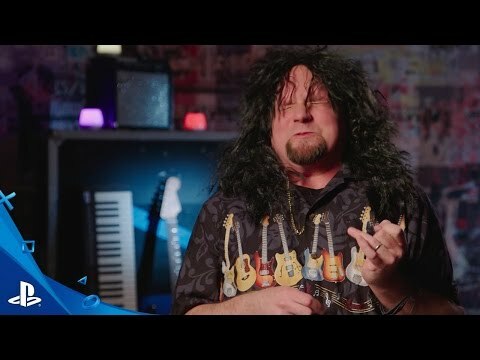 If you already have instrument controllers that are compatible with Rock Band 4, you can purchase the Rock Band Rivals as a digital download on PSN. ©2016 Harmonix Music Systems, Inc. All rights reserved. Harmonix, Rock Band and all related titles and logos are trademarks of Harmonix Music Systems, Inc. Rock Band 4 developed by Harmonix Music Systems, Inc. Fender™ and Jaguar™ are the trademarks of Fender Musical Instruments Corporation. All other marks are the property of their respective owners.